Your first visit to Eaton Dental Centre involves gathering your medical history and finding out what brought you to see us on this particular occasion. We work with you to identify your primary problem or chief complaint so that we can address that first, and then we look into your overall dental health, checking all teeth to see if there are any other concerns. Next we provide a treatment plan with all your options for what needs to be done and an estimate of the cost of each treatment. After openly discussing the advantages and disadvantages of each treatment on the plan, you can then make an informed decision, with budgeting and long-term effects clearly communicated. Please bring your Medicare card, Western Australian government-sponsored voucher (if you have one), and any private health fund cards so that we are able to claim rebates for you on the spot. You can even download the new patient medical form and submit it online to streamline the process further. We only take x-rays when necessary. For new patients who haven’t had x-rays in the past two years, we recommend having them done, but it’s your choice. How long does the first visit take? Just 45 minutes! We won’t do any procedures on your first visit unless you request it or need emergency repair work done. Instead we take the time to talk and listen to you, understand any problems you are having, address them and ease any concerns. We also give the option of nitrous oxide (laughing gas) to ensure any anxiety is reduced. 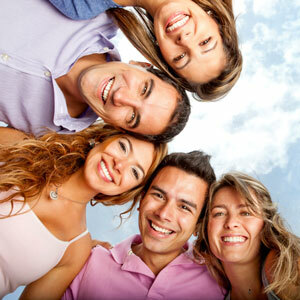 Eaton Dental Centre accepts all private health funds and are preferred providers for CBHS, HBF and Smile.com.au. We process claims on the spot with our HICAPS machine. We understand that sometimes dental emergencies and treatments can be a financial burden so for your convenience, we are proud to offer our patients Mediplan from Zipmoney. We offer 0% payment plan for approved applicants. You can apply online through Zipmoney and get approval in minutes. With Eaton Dental Centre there’s no reason to feel nervous or worried about what’s involved or what it might cost. Call in next time you’re at the shops or ring us for an appointment. At Eaton Dental Centre, we strive to always provide the best care at a cost-effective price. We’re dedicated to meeting the specific concerns that you or your child may have. Book a visit online or call us at 08 9725 0844. We’re in-network, and all health funds are filed on the spot, whether it’s an evening or Saturday appointment.